Using evidence-based research leads to more impactful healthcare innovations. We can help you get there. We work with small and large companies in the mid-stage of development of healthcare technologies focused on primary care settings (eg., physician offices, care in home, pharmacies, and assisted living), providers, and patients. The interdisciplinary collection of faculty associated with the PCI-Lab bring together the knowledge, skills and ability to work collaboratively with health organizations and industry partners (though grants and contracts) at multiple stages of the innovation cycle. 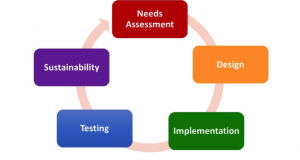 The projects we pursue include needs assessment and workflow analysis, system design, implementation process and adoption, in context and usability testing, as well as scaling pilots and projects up to sustainable systems. In combination with our expertise, we are able to leverage our partnership with the living laboratories of WPRN and UW Neighborhood clinics, our access to UW Medicine EMR data and our experience with large complex data such as claims and billing information. 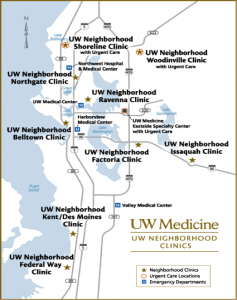 The UW School of Medicine, including its 12 UW Neighborhood clinics in the Seattle metro region with approx. 250,000 visits per year. 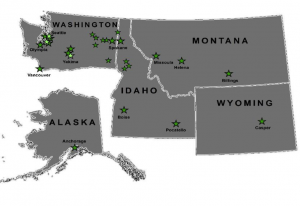 These clinics are a mix of large and small clinics, operating in urban, rural, or underserved areas, with different payment models and contracting arrangements. PCI-Lab offers expertise at all stages of the system development life cycle, from design to implementation. Any research conducted will be under the umbrella of the UW Institutional Review Board (IRB), grants and contracts management, and open publication policies. We can work under contract research, consultancy, and various public/private partnerships. insufficient experience to understand what drives implementation and sustainability of new technologies in this settings such as impact on the providers, on primary care workflow, and reimbursement systems. Factors of successful innovation in primary care contexts are multifactorial, and include clinical skills, needs alignment, information access, software development, creativity, integrated workflow, and management skills. Our team and collaborators have considerable experience in the complex and challenging environment of primary care.